Whether you are visiting us for an emergency toothache or your routine checkup and cleaning, we want your experience with our office to be a pleasant one. Being well prepared for your appointment will ensure that the doctor has all of the needed information to provide the best possible care for you. It will also relieve any unnecessary anxiety you may be feeling. Prior to your visit, you may wish to review our staff page to familiarize yourself with our Doctor and staff members. Please make sure to bring your completed patient registration, (including your insurance information) medical history and HIPAA forms with you to your appointment. If you have dental records, such as x-rays, please bring them with you or have them forwarded to our office from your previous dental provider. Upon your arrival, our front office staff will be happy to assist you with any questions you may have regarding your registration or medical history forms. Once you have been escorted to the treatment room, you will notice we have taken great care in assuring your visit will be comfortable and efficient. Our treatment rooms are equipped with the latest technology from digital xrays, to heated massage dental chairs and televisions in each operatory. Any necessary radiographs will be taken and are available for immediate review on a monitor mounted near the dental chair. Our staff will take the time to help you understand any dental conditions you may have and also emphasize any preventive treatments that will help you maintain your healthy smile. If you should require further treatment, we will present you with a detailed treatment plan which will include a breakdown of all fees and an insurance estimate if applicable. We hope that we are able to make your first visit comfortable, relaxing and educational. We look forward to meeting you! Our office is located at 5909 S. Remington Place. We are located in the Remington Pointe business development on the northwest corner of Western Ave. and 69th Street. You can access Remington Place from Western Avenue (one block north of the 69th and Western intersection, turn left onto Remington Place and follow the road to the west end of the development - look for the Smiles sign on the right!) or from 69th Street (go one block west of the 69th and Western intersection, turn right onto Grand Prairie Drive and then another immediate right onto Remington Place - look for the Smiles sign on the left!) 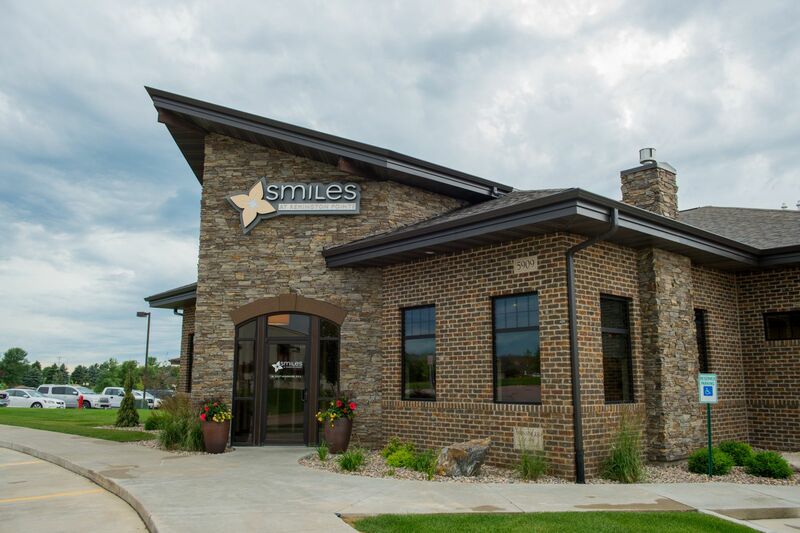 We are excited to offer our patients exceptional dental care in a state of the art facility.